West Jakarta Transportation Sub-dept. (Sudinhub) conducted llegal parking operation in Grogol, Tuesday (3/13). 57 vehicles were netter in this operation.
" 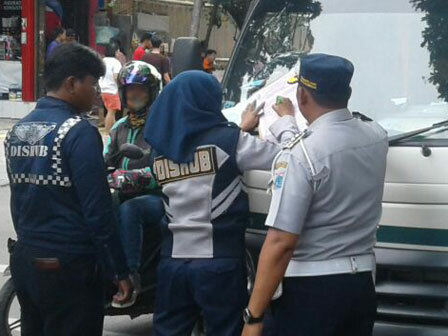 Similar operation will be also conducted to create traffic order and public comfort"
Grogol Petamburan Sub-district Transportation Unit Head, Surahman mentioned, this operation was held at three locations, Jalan Kyai Tapa, Daan Mogot Park, and Tanjung Duren. "Similar operation will be also conducted to create traffic order and public comfort," he said. He explained, in this operation, 33 motorcycles and 16 cars were flattened and 8 public transportation were ticketed with BAP.